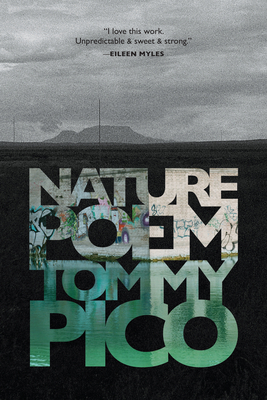 Nature Poem follows Teebs--a young, queer, American Indian (or NDN) poet--who can't bring himself to write a nature poem. For the reservation-born, urban-dwelling hipster, the exercise feels stereotypical, reductive, and boring. He hates nature. He prefers city lights to the night sky. He'd slap a tree across the face. He'd rather write a mountain of hashtag punchlines about death and give head in a pizza-parlor bathroom; he'd rather write odes to Aretha Franklin and Hole. While he's adamant--bratty, even--about his distaste for the word "natural," over the course of the book we see him confronting the assimilationist, historical, colonial-white ideas that collude NDN people with nature. The closer his people were identified with the "natural world," he figures, the easier it was to mow them down like the underbrush. But Teebs gradually learns how to interpret constellations through his own lens, along with human nature, sexuality, language, music, and Twitter. Even while he reckons with manifest destiny and genocide and centuries of disenfranchisement, he learns how to have faith in his own voice.